After nearly two years, Special Counsel Robert Mueller has finished his investigation into the 2016 presidential election. The report has been submitted to Attorney General Bill Barr, who will review it and decide what will be made available to the public and Congress. A timeline for when a review for public release will be finished has not been determined. Fox News is reporting no further indictments will be made by Mueller. Meaning, President Trump will not be indicted. Barr sent a letter to relevant congressional committee chairs and ranking members Friday late afternoon notifying them the report is complete. Classified briefings for specific lawmakers on Capitol Hill could begin as soon as this weekend. 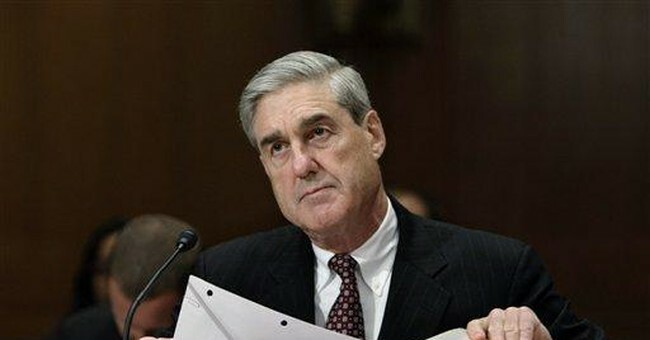 "I write to notify you pursuant to 28 C.F.R 600.9(a)(3) that Special Counsel Robert S. Mueller III has concluded his investigation of Russian interference in the 2016 election and related matters," Barr wrote to Senate Judiciary Chairman Lindsey Graham, Ranking Member Dianne Feinstein, House Judiciary Committee Chairman Jerry Nadler and Ranking Member Doug Collins. "The Special Counsel has submitted to me today a 'confidential report explaining the prosecution or declination decisions' he has reached,' Barr continued. "I am reviewing the report and anticipate that I may be in a position to advise you of the Special Counsel's principal conclusions as soon as this weekend." Right now, we don't know any more about the investigation than we did before the report was released. More information will undoubtedly become available after lawmakers briefings, which inevitably come with leaks to the media. “Importantly, the notification also indicates that there were no areas of disagreement between the Attorney General or the Acting Attorney General and Special Counsel Mueller regarding courses of action. This information is specifically required to be disclosed by the regulations governing Special Counsel reports," Graham issued in response to the letter. “I expect both Ranking Member Feinstein and I will be briefed more thoroughly about the report in the coming days. The House voted last week 420-0 to release the Mueller report to the public. The White House has not seen or been briefed on the report. You can read Barr's letter to the Senate and House Judiciary Committees below. This is a breaking story, stay tuned for updates. This story has been updated with additional information.